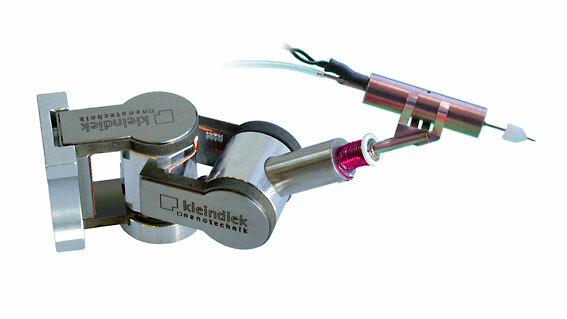 The MCS-EM is a micro-valve plug-in system for the MM3A-LMP micromanipulator. It enhances your system by allowing non-destructive removal of unwanted particles from sensitive surfaces. The unique combination of precision manipulation and controlled application of compressed air provides you with a reliable, fast and easy-to-use cleaning system. Control over the strength and length of each pressure impluse is possible. 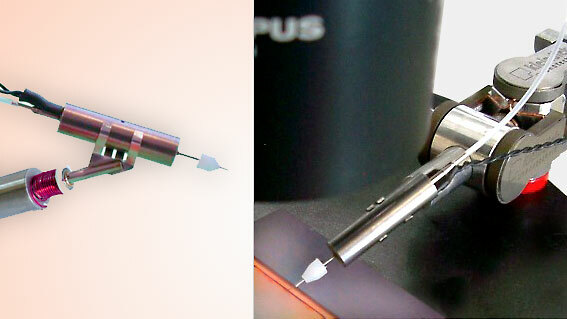 The plug-in tool can be quickly and easily retrofitted to your existing MM3A-LMP micromanipulator.